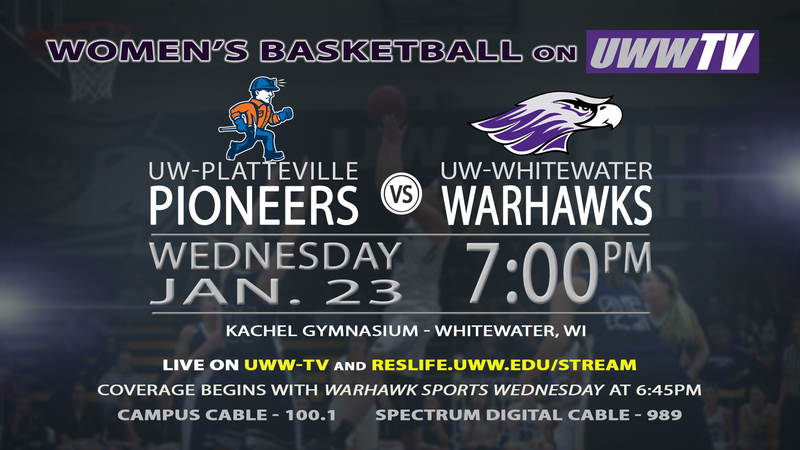 UWWTV – The UW-Platteville Pioneers Enter Warhawk Territory Tonight, LIVE on UWW-TV! 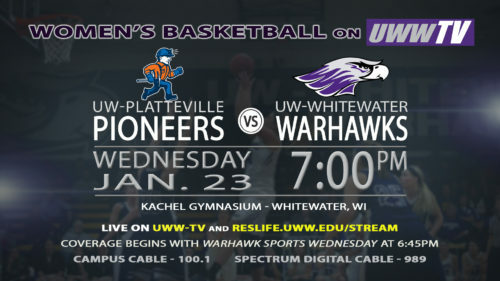 This evening, inside the walls of Kachel Gymnasium, the UW-Platteville Pioneers will face off against the UW-Whitewater Warhawks for a fantastic WIAC match of women’s basketball. Ball toss is set for 7:00 pm CDT, but UWW-TV will be taking you to the court at 6:45 pm CDT for Warhawk Sports Wednesday. This is the first time that these two teams have played this season, and the Warhawks are ready to bring the upper hand. Their overall record going into this game is 10-7 with an even 3-3 in conference, while the Pioneers bring an overall of 8-9 and a conference record sitting bottom heavy at 2-4. Both teams will be striving to improve their conference records in this game, so you are not going to want to miss this WIAC conference battle for the win. 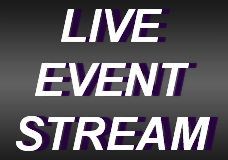 Tune into UWW-TV tonight at 6:45 pm CDT for the entire LIVE experience!